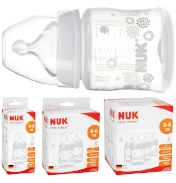 Bottles, Teats and Feeding Accessories, brands including Avent, Beaba and Clippasafe. If you’ve decided to go with bottle feeding you will need some good quality bottles, there are loads of different bottles to choose from so you’ll have to decide what will suit you and your baby best. You can get bottles that come with teats designed to be as close to the beast feeding as possible or there are bottles which help prevent colic and others with wide neck to help make it easier with mixing milk, Replacement Teats and Bottle warmers too.